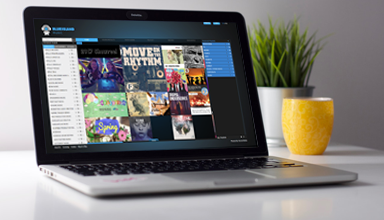 Our robust music management system is at the heart of the Harvest Media platform. Simply upload your music and associated metadata, and you’re good to go. You can start with our base package. It’s absolutely free and just like our largest clients, you’ll get centralised storage, one-click distribution, metadata management tools, and incredible support. If you’re looking for a way to manage all your content and distribution needs from one place – Harvest Media is that place. Upload, receive, manage and distribute your tracks. All from the one platform. Edit, categorise, share, and track your music. And do it all from one place. We hold only your master data and its transcode for any audio requests. Use our online and offline tools to keep your data up-to-date. Get up and running with our free base package. Easily create quality metadata and a broadcast-quality master audio file. We can introduce you to a global network of music businesses. Build or upgrade your web presence with a solution that’s right for you. Push your content to networks, DSPs, aggregators, and monetisation services. A robust set of search and web tools for more complex sites. Power your own front-end with our most powerful set of tools. What does Harvest Media actually do? Harvest Media makes it easy for anyone in the music industry – from individual composers to large record companies – to manage and share their music. Use our cloud-based tools to manage and monitor your licensing and distribution. Create and manage standardised metadata. 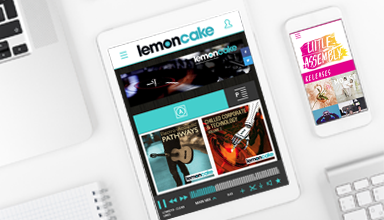 Build intuitive music search engines and engaging front-end interfaces and websites. And much, much more. Whether you’re an individual composer or a full record label, the Harvest Media platform can simplify your workflow and open up new opportunities for your business. From experts to newbies, we have a plan to meet your needs. Not sure what you need? Book a demo and we’ll get you sorted. It’s pretty simple really. Just upload your music and associated metadata, and you’re off and running. That’s when the fun starts. In a few clicks, you can send your global distributors everything they need to manage your music and share it with the world. Our base package, Harvest Connect, is free. 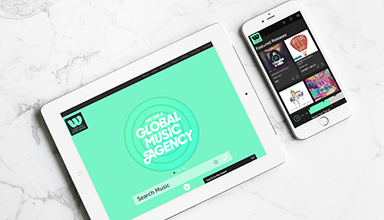 You can upload 2,500 tracks and distribute your catalogue to up to 6 sub-publishers. At absolutely no cost. Whether you choose the base or a more advanced package, you’ll receive centralised storage, one-click distribution, metadata management, reporting and the support of our knowledgeable team. We’ll have you on your way in 3 simple steps. Visit our Get started page and we’ll be in touch soon. Do I have to convert all my audio files before uploading? No. Simply upload a single master and we’ll deliver it in the format your user wants. Whether it’s WAV, MP3 or AIFF – just select the format and Harvest Media will take care of the rest. I am having trouble with my metadata, can you help? Our reliable, knowledgeable team are here to walk you through every step. We’ve helped hundreds of businesses set up and improve their metadata on the Harvest Media platform. And we know good guidance and feedback makes the process better for everyone. How can I be sure my metadata is protected? The Harvest Media platform gives you control over your metadata. And you can be sure your information is secure. We provide full control to your sub-publishers too, without affecting your master set of metadata. Why does your metadata template have so many columns? We’re all about standards. In fact, we’re pretty obsessed with them. As an originator (library), clearly defined standards simplify your workflow and makes your life easier. It also makes it easy for agents who represent your library to search, access and share your music. A single standard format means less time editing metadata. Do it once, do it well. I don’t have time to upload my data, can you help? We sure can. Get in touch and we’ll provide you with a quote for uploading your data onto the platform. I don’t have any agents, can you help? Of course. From the moment we founded Harvest Media, we’ve been successfully matching publishers with sub-publishers around the world. We can even reach out to potential sub-publishers on your behalf. Just tell us which territory you want to be represented in. And introduce us to your music by sending through showreel, demo or link to your website. These are just some of the many services Harvest Media provides. Do I have to upload my albums for each agent? Not at all. We provide simple tools to add and manage your sub-publishers. When you’re ready, it’s a one-click process to distribute content to however many agents you choose. The platform will notify your sub-publishers when new music, artwork and metadata is online, ready and waiting for them. Are you integrated with any core industry services? Harvest Connect is fully integrated with a host of core industry services like Shazam, Tunesat, Adrev, Soundmouse, Fuga, Netmix, and more. Meaning you can deliver to them too, all from your original upload of music and data. No double-handling – just click, send, done. We have imported our data and distributed, what next? Once your music and metadata are on the platform, the fun starts. You can add more storage, broaden your distribution networks, add hard drive distribution, build a search site for your clients, and so much more.